Last night on ShowTime Championship Boxing, we had a wild triple header of action. The first fight of the evening was the most exciting heavyweight bout since Wilder VS Ortiz, and it was a wild one, as Adam Kownacki (18-0, 14 KO’s) defeated Charles Martin (25-2-1, 23 KO’s) via unanimous decision. Kownacki came out throwing everything but the kitchen sink at Martin, as he is known to throw punches in bunches, which is rare for a heavyweight. By the third round, Martin looked like he was out of gas, but would come back strong in the 7th and 8th rounds. The final round was wild, as Martin was badly stunned by a left hook and looked like he was going down. In the final minute, Martin landed a big shot of his own which stunned Kownacki, but it would not be enough. Kownacki wins by unanimous decision. The second fight of the evening was a completely one sided affair, as Yordenis Ugas (23-3, 11 KO’s) defeated Cesar Barionuevo (34-4-2, 24 KO’s) in a clean sweep on the scorecards. Ugas’ defense was impenetrable as Barionuevo looked completely lost in his US debut. Ugas pretty much picked him apart for 12 rounds, en route to a unanimous decision victory. He is now the mandatory contender for a welterweight world title, with the fight ending in scores of 119-109/120-108/120-108. 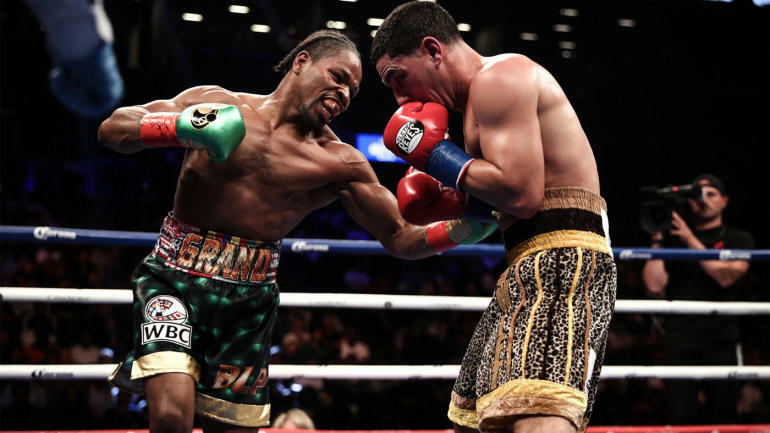 The main event was a barn burner, as Shawn Porter (29-2-1, 17 KO’s) narrowly defeated Danny Garcia (34-2, 19 KO’s) to become the new WBC Welterweight champion. Porter started the fight trying to box from the outside, which is not really his game, and as soon as Garcia landed a big shot in the second round, Porter became Porter. Porter would smother Garcia with his annoying in your face style, not giving Garcia any room to punch, and took the middle rounds, which ultimately was the reason he would win the fight. Garcia would come on strong in the end of the fight, landing clean shots on Porter as he was able to create some separation, and fight his fight. Garcia was clearly the more effective and accurate puncher, but was badly outworked by Porter, which the judges ultimately favored. Porter threw almost 280 more punches then Garcia, even though the landed punches were almost identical. The final scores of the fight were 116-112/115-113/115-113 all in favor of Porter, simply because he was the busier man, and not at all the more effective puncher. I scored the fight 114-114 which was the same as Steve Farhood’s unofficial score, and also the correct one. Never the less, Shawn Porter takes home the gold, and sets up a potential bout with Errol Spence Jr to unify the WBC and IBF Welterweight titles. Lucas Matthysse — Win, Unanimous Decision (12), 9/14/13. Keith Thurman — Loss, Split Decision (12), 3/4/17. Keith Thurman — Loss, Unanimous Decision (12), 6/25/16. Andre Berto — Win, TKO 9th round (12), 4/22/17. IBF Welterweight World champion Errol Spence JR (23-0, 20 KO’s) will defend his title against mandatory challenger Carlos Ocampo (22-0, 13 KO’s). The fight will take place in Dallas Texas on June 6th of 2018, but a specific venue has not yet been chosen. Spence is coming of of a total wipe out victory over top welterweight contender Lamont Peterson, in a fight that looked super easy for Errol to get through. Spence dominated the entire fight before ultimately getting a stoppage in the 7th round. Aside for one nice rally that peterson had, which was a rest round for Spence, Spence was in complete control the entire fight. If Spence was able to beat down a former champ and top 10 welterweight like Lamont Peterson like that, there is absolutely no telling what he will do to the less experienced Ocampo, come June 6th. This is most definitely a nice fight for Spence, but more importantly one that he cannot avoid. Carlos Ocampo is rated #1 by the IBF, which Errol Spence is a title holder in. So that means that Spence must fight Ocampo (his mandatory challenger), or be stripped of the IBF Welterweight title. There is little doubt that the IBF is known for bogus rankings among fighters. This is not the first time that they have ranked a relatively unwon fighter at #1. Ocampo is not even ranked n the top 10 by TheRing Magazine or ESPN. So why if he ranked #1 by the IBF? The WBC for instance has Ocampo ranked at #22, while the WBO has him ranked at #7. The other thing is that Ocampo, while being undefeated, has never fought a top tier opponent. 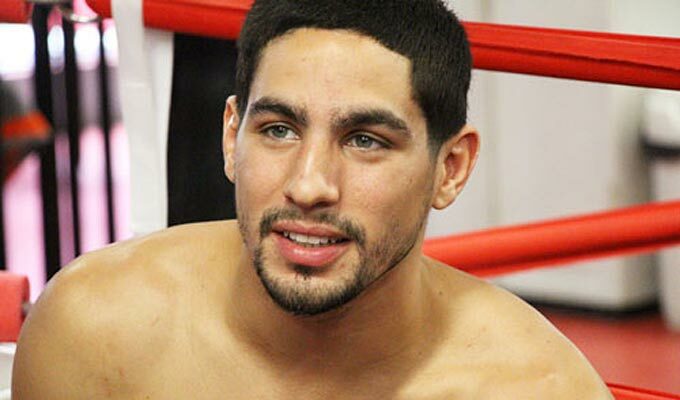 The logical #1 for the IBF should be either Danny Garcia or Shawn Porter. This is however a nice fight for Errol Spence JR. It’s a great stop gap, while he waits until the end of the year for the fight he really wants, which is Keith Thurman. Ocampo brings a nice undefeated record to the table, so on paper, it doesn’t look like a walk in the park for Spence. Keith Thurman will have a come back fight sometime this summer after undergoing elbow surgery. He has stated time and time again that he will not fight a top tier opponent in his first fight back since surgery. For now, Spence has to deal with Ocampo however, so expect to see more of the same from the IBF champ. This past Saturday night February 17th 2018, was a huge night for boxing. We got a chance to look at a future superstar in boxing as David Benavidez (20-0, 17 KO’s) put a beat down on Ronald Gavril (18-3, 14 KO’s) in their long awaited rematch. 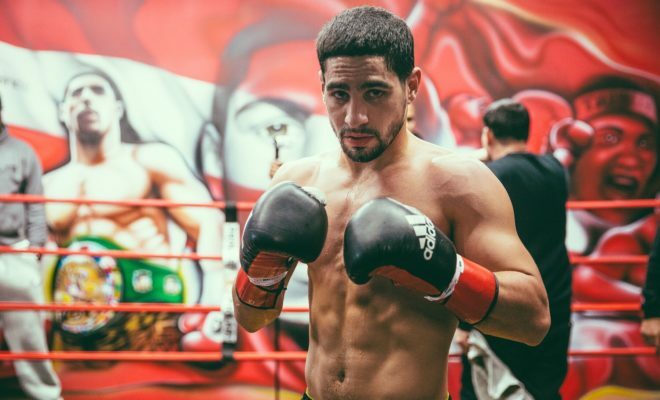 We also saw a star re-establish himself in the Welterweight division after suffering his first professional loss, as Danny Garcia (34-1, 20 KO’s) KO’d Brandon Rios (34-4-1, 25 KO’s) in the 9th round of their WBC Welterweight title eliminator. The night was opened however by a matchup of two other rising stars, both looking to take that next step in their careers, as Yordenis Ugas (21-3, 10 KO’s) defeated Ray Robinson (24-2, 12 KO’s) via 7th round TKO. The fight was an interesting one at the beginning, but it later became apparent that Ugas was the more skilled fighter. He dropped Robinson on a flash knockdown in the second round, but Robinson was not hurt, as it appeared that he went down due to their feet being tangled up. Robinson, perhaps feeling a sense of urgency after the knockdown, would land some nice shots in the 4th and 5th rounds, but they seemed to have no effect on Ugas. Ugas however, nailed Robinson with a huge right hand in the 7th round. Robinson would beat the count, but was clearly on dream street. Gas then came with a flurry of punches, and the referee stopped the fight. The co-featured bout of the evening was also an interesting one, even though it was very one sided. In their first fight, Benavidez and Garvil fought to a very narrow split decision, a fight that Benavidez barley won. Guess he wasn’t lying when he said he had the flu in their first meeting, because he beat Gavril down in this contest. Benavidez found a home early for his right and left uppercuts, splitting the guard of Gavril on a regular basis. In the 4th round, Benavidez caught Gavril with a huge uppercut, which sent Gavril crashing into the ropes. Gavel was lucky because it would have been a knockdown if the ropes hadn’t kept him up, and still could have been scored a knockdown if a judge saw it that way. Benavidez continued to pepper Gavril with creative nominations throughout the rest of the fight. Gavril came alive a bit in the 10-12 rounds and actually had a really good 11th, but it was far from enough. The final scores were 120-108/120-108/119-109. One judge gave the 11th to Gavril, which was also the only round I gave him. Benavidez remains undefeated, and the WBC Super Middleweight champion. The main event was a banger as expected, as Danny Garcia flattened Brandon Rios in the 9th round with an emphatic 1 punch TKO victory. Rios looked slow in the first 2 rounds after the opening bell, and Danny Garcia, the historically slow starter, looked better then usual. Rios would find a rhythm in the 3rd round however, and started throwing a lot more punches. 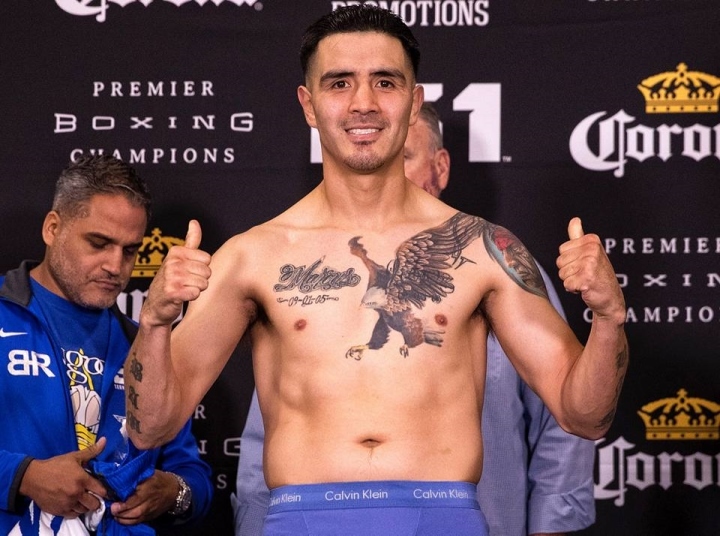 Garcia, who is usually a left hook artist, started nailing Rios with his right hand after the 4th round, and would continue to do so for the rest of the fight. Rios looked good in rounds 6-8, maybe even taking a couple of them, but that would all come to an end in the 9th round. Rios got a bit lazy with his jab and didn’t bring his left back quick or high enough, and out of no where, Garcia landed a master right cross that send Rios’ head flying backward. Rios was dropped and clearly on another planet, and when he got up, he was very wobbly. The referee was forced to stop the fight, as Rios was unable to walk straight. At the time of the stoppage, Garcia was ahead on all 3 scorecards. Manny Pacquiao — Loss, Unanimous Decision (12), 11/24/13. Mike Alvarado #3 — Win, TKO 3rd round (12), 1/24/15.